Zack joined Watsi on November 25th, 2013. Four years ago, Zack became the 899th member to automatically support a new Watsi patient every month. Since then, 4,178 more people have become monthly donors! Zack's most recent donation traveled 8,700 miles to support Letiya, a boy from Tanzania, to fund orthopedic surgery. Zack has funded healthcare for 55 patients in 12 countries. Ley is a street food and drinks vendor from Cambodia. She has three brothers and three sisters. She likes to watch TV, listen to music, and go for walks in her free time. Ley had an abscess removed on her face, and now the scar is bothering her. She is self conscious about her looks. When Ley learned about our medical partner, Children's Surgical Centre, she traveled for two hours seeking treatment. On December 4, surgeons at CSC will perform a local flap with direct closure to to help her feel comfortable and confident again. Now, she needs help to fund this $606 procedure. She says, "I hope my operation is successful so I will look good and feel good." Eh is an eight-year-old student from Thailand. Her family escaped from civil wars in their village in Burma and now reside in a refugee camp in Thailand. Eh is currently attending third grade but has missed school for a month due to her health condition. Eh says she likes playing with her sister. In June 2018, Eh started to experience headaches. In August 2018, Eh started to have seizures daily, occurring two to four times a week. She has severe headaches and fevers. Doctors want Eh to undergo a CT scan, a procedure in which x-ray images taken from several angles are combined to produce cross-sectional images of the body. This scan will hopefully help doctors diagnose her condition and formulate an appropriate treatment plan. Our medical partner, Burma Children Medical Fund, is requesting $414 to cover the cost of Eh's CT scan and care, scheduled for September 13. Her father says, "I have to look after my child all the time. I have to take days off from work so that I could take care of her." Stephen is a baby from Kenya. He is the youngest in a family of three children. His parents are farmers. Stephen was born with spina bifida, a type of neural tube defect in which the spine does not properly close around the spinal cord. Without treatment, Stephen is at risk of lower-limb paralysis, infection of the exposed nervous tissue, development of tethered cord syndrome, and possible developmental delays. 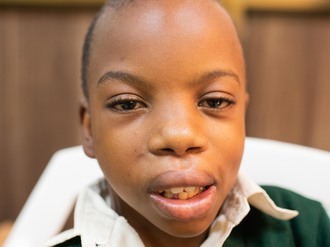 Our medical partner, African Mission Healthcare Foundation, is requesting $1,097 to cover the cost of Stephen's spina bifida closure surgery. The procedure is scheduled to take place on September 10. This procedure will hopefully spare Stephen from the risks associated with his condition, instead allowing him to grow and develop along a healthy trajectory. Stephen’s mother says, “I wish to see my son grow up as a healthy child." Blessing is a seven-day-old baby from Kenya. She is the the youngest in a family of three children. She has two siblings, who are in primary school. Blessing was born with spina bifida, a type of neural tube defect in which the spine does not properly close around the spinal cord. Without treatment, Blessing is at risk of lower-limb paralysis, infection of the exposed nervous tissue, development of tethered cord syndrome, and possible developmental delays. 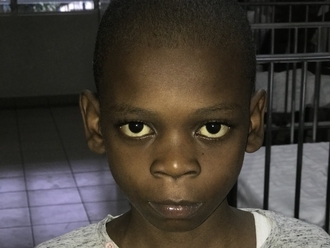 Our medical partner, African Mission Healthcare Foundation, is requesting $1,097 to cover the cost of Blessing's spina bifida closure surgery. The procedure is scheduled to take place on August 6. This procedure will hopefully spare Blessing from the risks associated with her condition, instead allowing her to grow and develop along a healthy trajectory. Blessing’s mother says, “My prayer is to have my child treated and grow up as a normal child like my other children." Nwe Nwe is 42-year-old woman from Thailand. She lives in Thailand with her husband and youngest son. 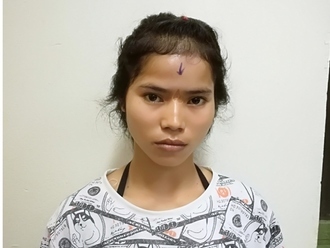 She has two other children who study in Burma and currently live with her mother. 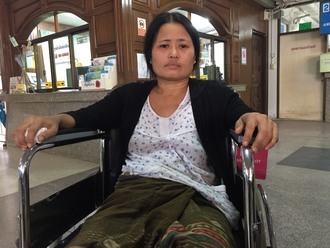 Nwe Nwe has multiple gallstones and suffers from abdominal discomfort, headaches, difficulty breathing, and vomiting. Nwe Nwe has been advised to undergo a biliary obstruction repair, a procedure to repair the blockage of the bile ducts, which carry bile from the liver to the gallbladder. If left untreated, Nwe Nwe's symptoms will continue to worsen and put her at risk for further health complications in the future. 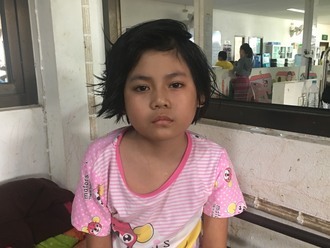 After seeking treatment through our medical partner, Burma Children Medical Fund (BCMF), Nwe Nwe is scheduled to undergo her biliary obstruction repair on June 29. BCMF is requesting $1,500 to cover the total cost of Nwe Nwe's procedure and care. If she recovers after surgery, Nwe Nwe would like to work and save money for her children’s school fees. “My oldest son will be starting grade ten next year so his school fees will be more expensive,” said Nwe Nwe. “I am not educated so I want my children to receive an education." 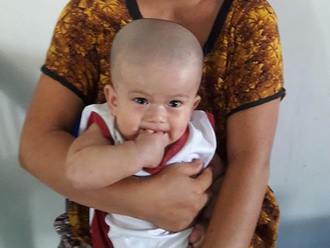 Nwet (BB) is a five-month-old baby boy from Burma. 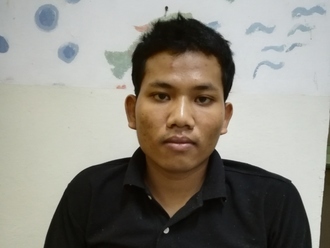 He lives with his family in a village in Karen State. Once he was born, the nurses noticed a protrusion on back of his skull, a neurological condition called encephalocele. He already had surgery but now his head is getting bigger. Doctors want Nwet (BB) to undergo a CT scan, a procedure in which x-ray images taken from several angles are combined to produce cross-sectional images of the body. This scan will hopefully help doctors diagnose his condition and formulate an appropriate treatment plan. Our medical partner, Burma Children Medical Fund, is requesting $469 to cover the cost of Nwet (BB)'s CT scan and care, scheduled for May 21. His mother says, "I started feel worry again when I see my baby's head is getting bigger." 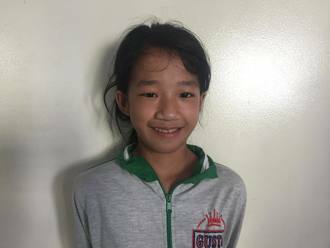 Heng is a 10-year-old girl from Cambodia. She likes to study science and the Khmer language. She wants to be a teacher when she grows up. She enjoys drawing and watching TV with friends. She has one older brother. For the past two years, Heng has had a recurrent infection, which causes nasal obstruction, runny nose, sneezing, and hearing loss. In order to get rid of the infection, she needs to have a tonsillectomy and adenoidectomy surgery. Fortunately, surgery is scheduled for April 26. Now, her family needs help raising $221 to fund the procedure. Her mother says, "I hope my daughter's infection goes away after the surgery. I don't like seeing her sick all the time."